Is there a better alternative to Xsymbolicate? Is Xsymbolicate really the best app in Developer Tools category? Will Xsymbolicate work good on macOS 10.13.4? Xsymbolicate lets you easily symbolicate crash reports obtained from devices running OS X, iOS, and tvOS. Distributing OS X software outside the Mac App Store? Just open any crash reports you receive from your users with Xsymbolicate to quickly pinpoint the source of the crash -- no need to open Terminal. 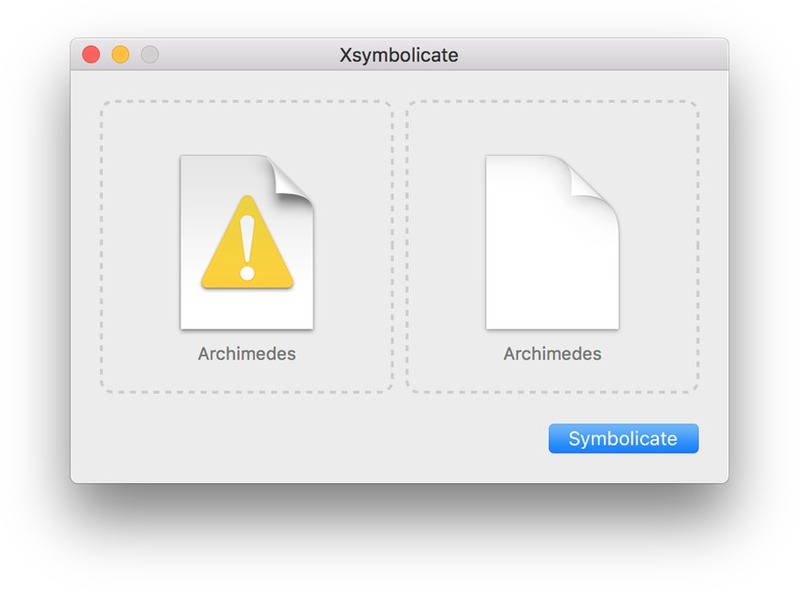 When you first open a crash report, Xsymbolicate will automatically try to find symbols for the binary in your Xcode archives. If you already have a dSYM file handy, just drag-and-drop it to begin symbolication. Xsymbolicate needs a rating. Be the first to rate this app and get the discussion started! Once symbolication is complete, Xsymbolicate will show you your crash report with inline source information at the point of the crash. Different parts of the report will even be highlighted, making it easy to focus on just the information you need.